Happy Holidays from El Dave Photography! Thank you for all your support this year. The move to the new site and all the creative changes and growths have been both challenging and exciting, and I am looking forward to having even more great photos to show you next year! Like we do every year, we’re taking a holiday break from posting updates until after the new year. See you in 2012! Posted in: Uncategorized. 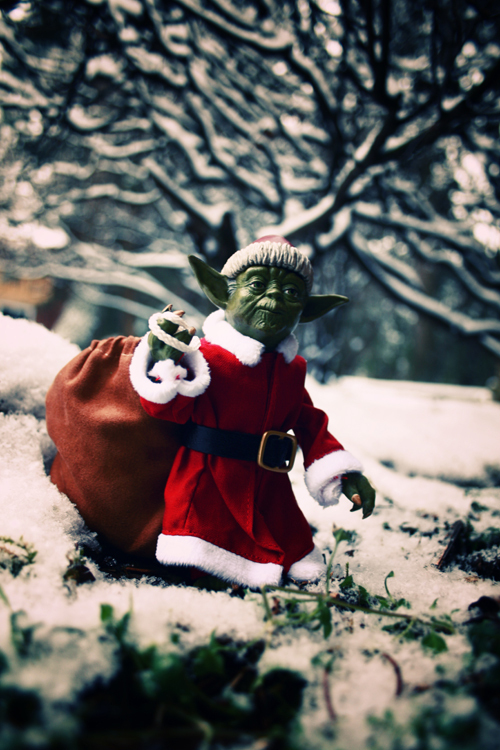 Tags: action figure, christmas, happy, holidays, merry, photo, photography, snow, star wars, toy, toys, yoda.